Smithsonian's Art of Video Games to Tour Across the U.S. 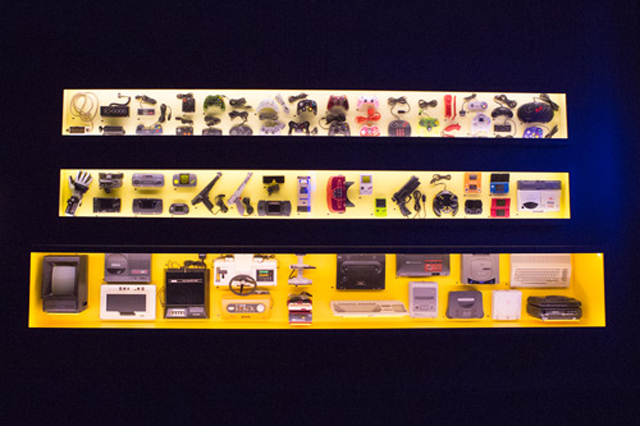 If there was ever any doubt that video games are one of our era’s strongest forms of art (I’m looking at you, Roger Ebert), the Smithsonian American Art Museum’s exhibition The Art of Video Games should have erased them. The mammoth exhibition featured over 80 games, with playable consoles, concept art, and video footage. Now, the show is touring across the United States in a victory lap through nine cities. That the exhibition is going on such an extensive tour pays testament to the fact that video games are a powerful, vital creative medium that can be discussed critically as well as enjoyed by wide audiences. The populist angle of The Art of Video Games is part of what made it so popular; video games like Pac-Man, Super Mario Brothers, and Myst have become cultural touchstones just as works of contemporary art like Jeff Koons’s “Puppy” have. The next step for video game exhibitions is to approach the subject more critically. The Smithsonian show did highlight some “art” video games like thatgamecompany’s Flower, but it mostly focused on mass-market hits produced by major game companies. The Australian Centre for the Moving Image opened a video game-oriented exhibition called Game Masters earlier this summer, focusing less on blockbusters and more on the history of video games and the medium’s early pioneers. The Paris Grand Palais’s Game Story similarly charted the aesthetic development of video games. On my wish list for video games’ presence in art museums is an exhibition that presents a full range of playable art video games, not unlike Kill Screen‘s Museum of Modern Art arcade event last year. An entire exhibition could also be made of artists who explore video games as a medium for art-making, a group that includes Cory Arcangel and Nicholas O’Brien.